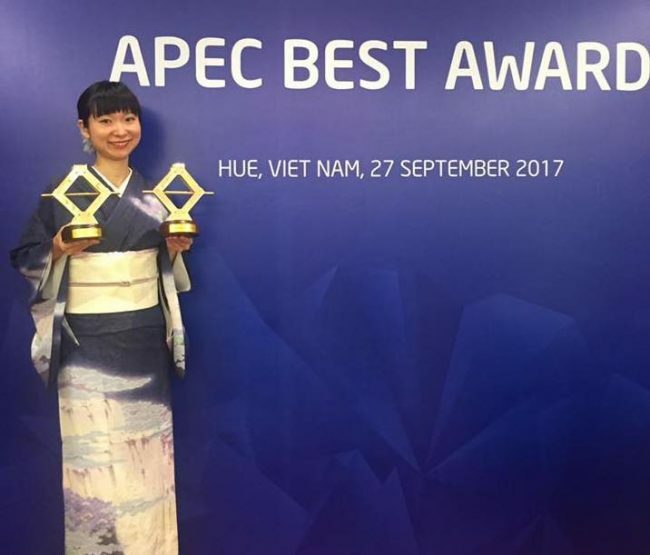 On September 27th, “APEC BEST Award 2017” was held in Hue, Vietnam. 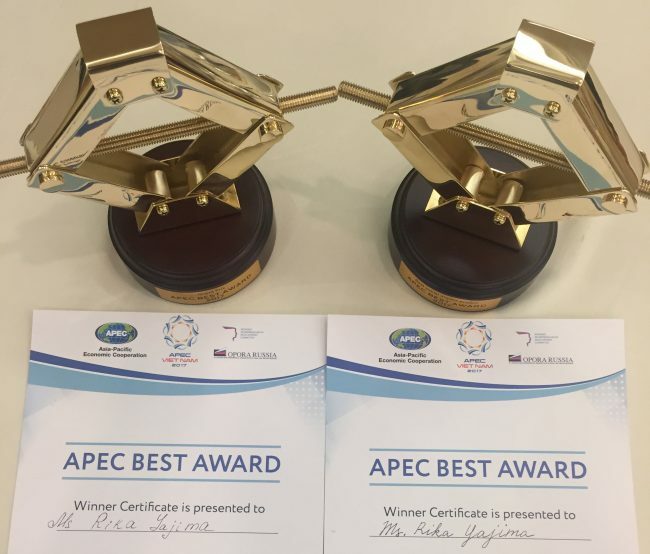 Each of the country of the APEC member selected one representative entrepreneur from their country. As an entrepreneur of the Japanese delegation, Rika got a recommendation from the Cabinet Office Gender Equality Bureau and made a presentation. Rika won the Grand Prize and also she won the “Best Social Impact Award” and came into 2 crowns! We feel that we were able to call out to the world the new business model. Nurturing the economy and also the culture. This is what we think we sould do as the new next generations. Thank you very much for your heartwarming support. Rika Yajima’s company, “aeru company” carry outs business to develop and sell products that incorporate Japanese culture into modern need and to pass down to the next generations, Also the company’s concept and business model was evaluated as the best practice and universal in the world.